The initial release, done for the Games Made Quick 1.5. Probably entirely full of bugs. 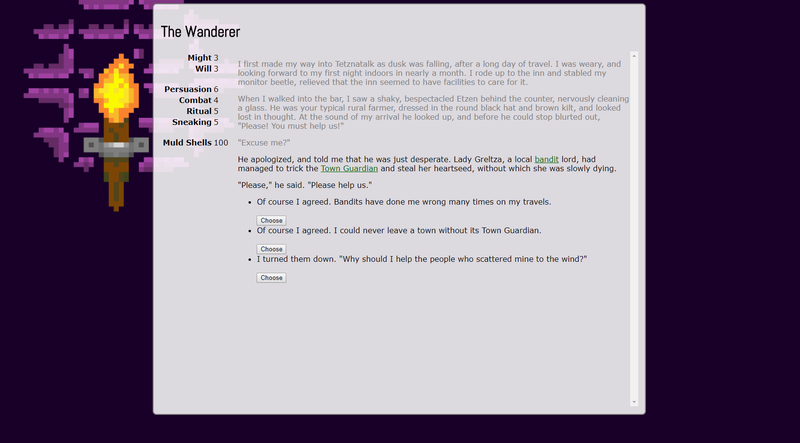 Storybook game, inspired by Lone Wolf and Telltale Games.